Not everyone can give their security guard detail full access. Sometimes areas must be kept under lock and key even to the people doing the protecting. Most security companies understand access control and adjust their activity based on their customer’s needs. There are many locations in Baltimore, MD and other areas that have different reasons for security concerns. No matter the reason you need security, where you are located, or how much access can be given, there is a way to protect your property. There are special considerations that need to be made. Video surveillance is one of the most logical first steps in a security guard’s access control. The guard will not need to go everywhere in and around the building to see every area. This also allows for more to be seen with fewer guards. There should certainly be security cameras in your facility, and a guard should be able to check on them. If there are rooms that you do not want to be viewed, or cannot be seen for whatever reason, the entrances, and exits should be carefully monitored. There are several downsides to this being the only level of a guard’s access. In the case of a power outage or technical interference, the guard will need to conduct foot patrols. 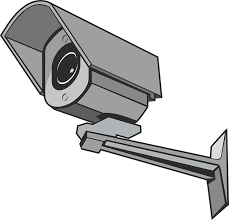 In larger buildings looking everywhere at every time will be difficult, so you may need to place many security cameras. Steps will need to be taken to check for blind spots for all cameras. Lack of physical stimulus can also allow guards to become distracted or lose focus if they are restricted from doing any foot patrolling. Door access must be given on a case-by-case basis. The top consideration should always be ‘necessity.’ The chances are that a security guard on duty will need access to some rooms. Chiefly, they should be able to enter the property to some degree. Restroom access is also very important, both for allowing the guard to use the facilities, and to potentially assist those inside, as this is a common area for accidental injury. Further access within a building will be determined by which rooms require periodic in-person assessments. Rooms that most employees have access or keys too often require in-person inspection. A guard should not be restricted from entering an area that many others can enter with ease. Preventing this type of access does not allow the guard to step in, in the event of an injury, and lessens the effectiveness of loss prevention. 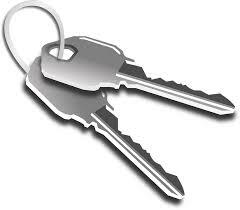 If the building works on a master key system, consider what key level the security guard will be given. In most cases the there will be no issues with giving the security guards the master or grandmaster key. To build this system of find out about your lock options consult a commercial locksmith. Any area that cannot be reached should have some other form of protection and monitoring that can be done remotely. If security will be asked to retrieve items from an office, or personally stored items, they will need access to these smaller storage areas. Security may be called upon to make these types of retrievals if an individual has been removed from the building and is not allowed re-entry. 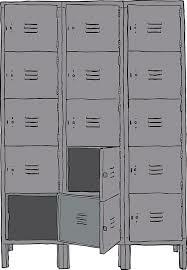 Cabinet and locker access are also needed if these areas must be cleared out and confirmed as empty. In cases where cabinets and lockers will need to be checked regularly, the company should use standardized locks with an overriding key. Often combination locks with a single keyed alike keyway will be used. Anywhere you are looking to protect needs to be accessible to your security guards in some way. In most cases, keyed access will be the best option. This allows for the greatest amount of control and response. In highly sensitive areas that cannot stand to have foot patrols, video or on-site alarm monitoring are the best practices. You never want to tie the hands of your security, but sometimes full access is just not possible. offer tips, advice and how-to’s for consumers, locksmiths, and security professionals.